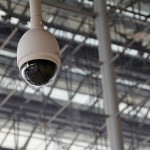 Security cameras are a great way to keep an eye on your property or business. You can use them to look after your loved ones, protect your inventory, or deter intruders all together. As appealing as security camera systems are, it is wise to know and understand your local surveillance laws. Before you invest in your own security cameras, please review these general guidelines. Remember, these are not meant to apply to your specific situation. Instead, they are meant to give you a general idea of what is and is not allowed. If you have any further questions regarding filming restrictions and such, please contact a local attorney or research laws within your city and state. Camera placement is important because you want to capture high traffic areas, such as entrances and back doors. If you direct your camera at an insignificant area, you will waste time and money while defeating the purpose of your security system. Placement is also important because there are areas that are off limits, including restrooms, other people’s homes, dressing rooms and locker rooms. Basically anywhere that there is an expectation of privacy, or you are likely to be in a state of undress, is off limits. If you are unsure whether or not you are violating someone’s right to privacy, err on the side of caution and always consult a lawyer. If you own a retail business, you may worry that customers might be committing crimes in blind spots such as dressing rooms, locker rooms, or restrooms. While legally you cannot monitor these areas, you can monitor the entrances/exits. Be sure that when the door opens, your camera does not get any glimpse of what’s behind that door, otherwise you could get into trouble. If a person goes into a restroom or dressing room with some inventory, and then exits without it that is a suggestion of a crime. Areas that are viewable to the public are generally legal to film. This is how Google is able to provide the 360-degree street view for Google Maps. However, it is ill-advised to point your security cameras at your neighbor’s home. Whatever situation that warranted your desire or need to film your neighbor’s home could become escalated. Whether you are the one filming or the one being filmed, you may want to first speak with your neighbor about camera placement. With audio recording, Federal Law only requires one person to know about the recording taking place. State laws will provide different regulations. Remember that federal law creates a baseline for laws. That is, state laws cannot allow for any less than one informed party. Audio is not allowed to be obtained through eavesdropping or remote recording. Because at least one of the parties must know of the recording, you are not permitted to record conversations you are not a part of since you do not count as one of the parties. Even if the conversation is taking place in a public area, the parties can still expect privacy which protects them from eavesdroppers. In the same vein, you cannot leave your unattended recorder somewhere and use the recordings as evidence. The easiest way to get around audio recording rules is to make the party aware that they are being recorded. For example, often times when you call a customer service line, you will likely hear, “This call may be recorded…” Continuing the conversation after this notification is usually viewed as consent. Thus, once you have informed someone that a room is being monitored by audio surveillance, they have the choice to continue their conversation in that room or move the discussion to a different room. You may also record a person so long as you don’t intend on using the recording for illegal acts. Because one party is aware of the recording, the act of recording is not illegal. However, if your recording contains private information that is covered by the common law privacy, you may get into some hot water. The private information could be things like medical history (ex. miscarriage, abortion) so be sure to understand what is and is not covered. The Fourth Amendment protects citizens from “…unreasonable searches and seizures…” and details the rights of privacy. While you may think that some public security cameras would count as unreasonable, the case of Delaware v. Prouse will tell you otherwise. In this case, the Supreme Court stated that “people are not shorn of all Fourth Amendment protection when they step from their homes onto the public sidewalks”. As far as the First Amendment goes, there has not been any critique on a camera’s existence suppressing behavior. In fact, in the Laird v. Tatum case, the court found that government surveillance of anti-war protesters did not hinder their freedom of expression. This can help security camera owners when there are accusations of civil liberty violations. The First Amendment also gives you the right to document civil servants as they are performing their civic duties. The recordings are simply viewed as a way of exercising your rights. Officers may ask you to stop recording and ask for the evidence, however, you do not have to submit to their requests unless they have a warrant for your property. The only instance in which you may be violating the law is if you are interfering with an investigation. This is often used to remove reporters from a crime scene, but your personal security camera should not interfere with the investigation. In fact, your video surveillance may be of use for the investigation. If you ever wondered why most security cameras do not have microphones, it is because, in some cases, you may need dual consent to record audio. Violating dual consent is a felony. Your best bet is to get consent to be taped before recording, and then again as the first order of business when the recording begins. Off tape and on record consent will cover your bases if you are sued for violating wiretap laws. And although it is deemed “dual consent”, you must get the express consent of everyone being recorded. The following states may have variations on the law and should be further researched: California, Connecticut, Florida, Hawaii, Illinois, Maryland, Massachusetts, Nevada, New Hampshire, Pennsylvania, and Washington. The employer must have a legitimate reason for recording. The off limits areas include restrooms, locker rooms, and dressing rooms. There may also be restrictions in the break room. Again, you cannot record any place in which a person should expect privacy. However, anywhere that an employee interacts with a customer can be monitored. For example, the sales floor is fair game, but a personal office may not be. You will need to use your best judgment or consult an attorney. Disclosing the use of surveillance equipment to your workers will cover your bases for any illegal wiretapping issues. The biggest restriction for recording employees is in regards to unions. An employer may not record union activities such as meetings or even discussions about union business. And surveillance cannot be used to intimidate current or prospective members of the union. When you submit any type of recording to a court of law, the evidence is put on trial. The validity and handling of this evidence is then scrutinized. You, as the recorder, must prove that the evidence was in no way doctored. You must go through the steps of how the footage was obtained (ex. how the video was recorded, where the camera was located, the quality of the camera at different times of day, how it was stored, etc. ), and verify the whereabouts of the evidence as it was transported to court. When the footage is not in court, it must be securely stored. The integrity of your recording may be compromised if there is any data loss due to a power surge or data dump. With this information, you should be able to make informed decisions when it comes to your security camera system. If you have any tips to share, please connect with us on Facebook, Google+, Twitter, LinkedIn, and Pinterest. For a great selection of quality security cameras, full CCTV surveillance packages, and more, please visit us online at SecurityCamExpert.com. To learn more about our installation and services, or to schedule a site survey, please call 1-888-203-6294.